Can Monetary Gifts From Family Be Considered Income for Alimony or Child Support Calculations in Florida? In some marriages, a spouse’s parents may supplement the family income with monetary gifts, which may be an issue later on if the husband and wife divorce. Can one spouse argue that the other spouse will have higher income due to the monetary gifts from family members thereby raising alimony and child support payments? According to Florida law, it depends. In Oluwek v. Oluwek, 2 So.3d 1038 (Fla. 2ndDCA 2009), Jonathan Oluwek, the husband, appealed an amended final judgment of dissolution of his marriage to Linda Oluwek, the wife. The trial court imputed $1500 per month contributed regularly by the husband’s parents to husband for alimony and child support. The husband argued the trial court erroneously imputed the $1500 per month as income to the husband. The record indicated his parents made regular monthly payments of $1500 over the last five years of marriage. The Oluwek court held that as a general rule, the trial court may not consider financial assistance from family or friends in determining a party’s ability to pay alimony or child support. However, there is an exception that allows the court to impute income based on gifts “if the gifts are continuing and ongoing, not sporadic, and where the evidence shows that the gifts will continue in the future.” In Vorcheimer v. Vorcheimer, 780 So. 2d 1018 (Fla. 4thDCA 2001), the appellate court held that the trial court erred by imputing $1500 to the husband as income where there was no evidence that the payments would continue. The $1500 payments had been made on a monthly basis for twelve years, but the husband’s father testified at trial that he had stopped making the monthly payments and would not make them in the future. The court distinguished that case from Ordini v. Ordini, 701 So.2d 663 (Fla. 4thDCA 1997), in which regular monthly payments from the husband’s parents continued through trial and the husband’s mother testified that she would continue to make them in the future. 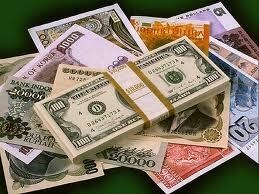 In Oluwek, the payments were continuing and ongoing and were not sporadic. However, the husband testified that the payments stopped months prior to trial and that his parents were unable to continue making the payments. Because there was no evidence that the $1500 monthly payments to the husband would continue in the future, the trial court erred in imputing it as income to the husband and the appellate court reversed. Navigating the law in regards to income for purposes of alimony and child support calculations can be difficult and you need an experienced Jacksonville divorce attorney to assist you. 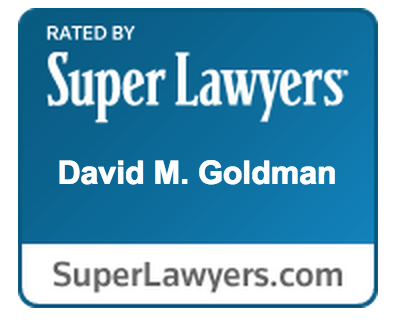 Contact the Law Office of David M. Goldman, PLLC for a consultation.